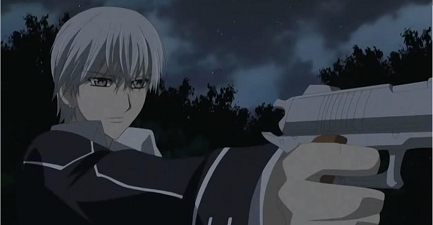 Zero. . Wallpaper and background images in the Vampire Knight club tagged: zero vampire knight fan art. This Vampire Knight fan art might contain lippizan, lipizzan, and lippizaner. that's some big gun he got there! !